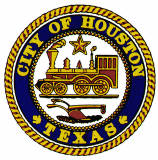 City Council unanimously confirmed Art Acevedo and Samuel Peña as Houston’s new police and fire chiefs Wednesday, clearing the way for the mayoral appointees to take office. Acevedo, Austin’s former police chief, is poised to take the helm of the city’s police department Thursday, while El Paso Fire Chief Samuel Peña is set to assume local duties in mid-December. See here for the background. Both have some challenges ahead of them, and I look forward to seeing how they tackle them. Welcome aboard, gentlemen. KUHF and the Press have more.